The Virtual Princess and the Pea: Vogue V1228 and My Fifth V2091! Thanks very much indeed to the most wonderfully stylish Catherine for nominating my blog for the Liebster Blog Award. I would never have anticipated that, and I appreciate it. I will try to come up with five nominations of my own in the next few days. Though it is much milder outside today, it was still jolly chilly taking photos without sleeves, hence the frozen expression on my face. As you know, I really like V2091 a LOT and I now have five of them. This one is a yellow, grey and green lycra something-or-other. It's relatively thick, and very soft and warm. 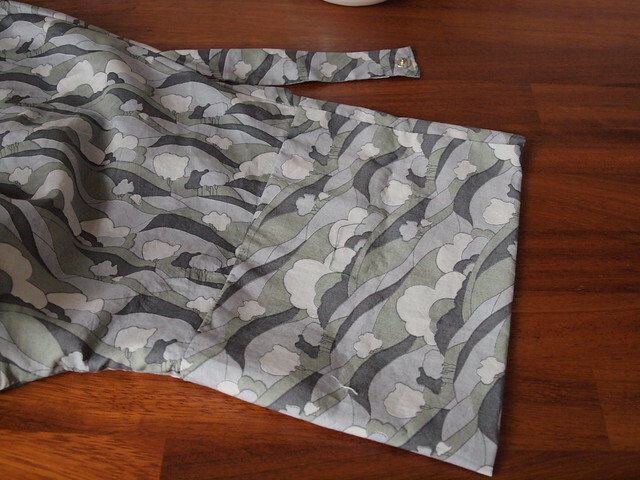 The look of this fabric takes me way out of my comfort zone. I forced myself to buy it. Weirdly, I like it, so it does pay to take a risk sometimes. I love them both. But I like the grey one better. Also great styling with the boots. I'm actually thinking of getting this pattern now (which is bad because I don't need any more and I have a massive backlog of things to sew). I waggle my finger at you madam. Also, thanks for visiting and leaving such positive comments! Great dresses. I'm new to your blog following Catherine's blog award. Glad to find you. hope that helps. If not, let me know and I'll see what else is out there.. Perfect Nose: I forbid you to buy the pattern or indeed to expand your stash. There. Re the Disqus thing. I did try yesterday after you mentioned it. It seemed really straighforward on the Disqus site but when I tried to add the widget thingie to my site, windows (?) wouldn't let me. It said it was trying to stop cross-scripting (WHAT??) and stopped me! Jane: Thank you! 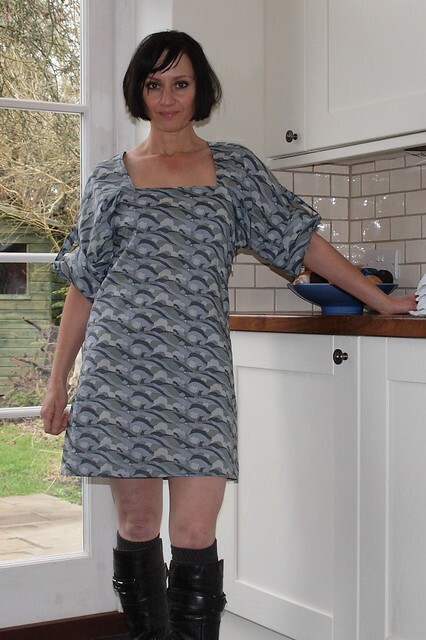 I was anxious the clouds dress would be shapeless (I need shape!) but it's not disappointed me. I like it too. Gail: Thank you, and I'm glad you found me too! I will check in to your blog later. Crazy Friday at this end! That dress looks great with the boots. And you do always have the best fabric. She looks wonderful in her dresses. I adore how she does with what she loves.